We provide all types of communication towers, GSM towers, microwave towers and lighting towers used in telecommunication infrastructure development. Our attractive and multi-functional microwave towers are facing immense demand from every corner of globe for their technical, scientific and compact design specifications. These are developed, designed and installed with the assistance of our experienced, qualified and expert engineers and technocrats. We offer cost effective range of development and installation service regarding as an additional installation service. These are further, designed for both government and civil communications and suitable for both far-off and short distance communications. For additional protection, we cover these with protective shield to prevent the radioactive fallouts. Our GSM towers are getting popularity among the Indian clients with the increasing demand of GSM mobile service. 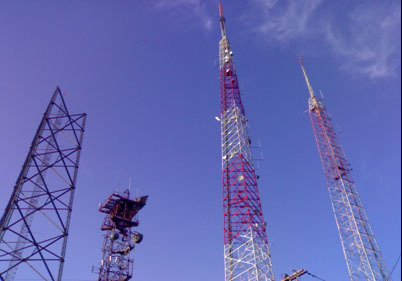 These towers enable the GSM communication service to spread rapidly. The maximum covering range of these towers is 30 km line of sight. These also have the ability to transmit cell broadcast message. We provide free-standing solutions to our clients through these self supporting towers. 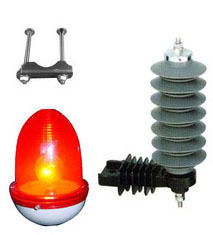 These are used in a wide range of demanding applications. These demanding applications include wireless Internet, standard micro ware antennas, cellular radio antenna platforms, LPTV antennas or mobiles. Further, these are designed to stringently meet specific requirements of varied applications. Our entire range of guyed masts are designed and developed to receives assistance from guy lines. These are especially used in transmission towers in form of either supporting aerials at the top or by using the whole structure as an antenna. For all types of wires aerials including VLF, MF, LF and others, these masts are perfect. For wires aerials, these mast structures require to be installed against ground. We are experienced enough in designing and installing cost effective range of sturdy square steel towers. High resistive galvanized stainless steel is used in their manufacturing process to ensure high resistivity against heat, humidity, moisture, water etc. Moreover, these towers are delivers in varied design and technical specifications depending up on the nature of the applications in which these have to be used.